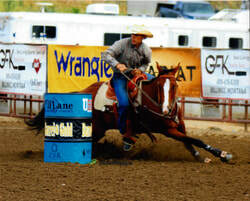 For bronc saddles go to www.gbargbroncsaddles.com. **Due to the daily hide price changes a surcharge for the price increase will be given at the time of ordering your saddle. A Gas Surcharge may be added on saddles. Due to the many different backs on horses and personal likes. WE DO NOT GUARANTEE THE SADDLES TO FIT EVERY HORSE PERFECTLY. We have spent many hours making the tree fit a very large variety of horses. We have barrel racers across the United States and Canada that feel they fit and help there horses turn in faster times. If you have any questions please call 307-856-4717 and I will try to answer them. We do have a sample saddle that you can try on your horse and ride. You will need to pay the freight both ways and you can call to make arrangements. Thank you and we will strive to make the high quality saddles we are known for. WHEN YOU GET YOUR SADDLE, YOU CAN SET IT ON A HORSE AND CHECK IT OUT. IF IT IS NOT CORRECT, DON’T MAKE A USED SADDLE OUT OF IT AND THEN WANT TO RETURN IT. ALL SADDLES ARE FOB RIVERTON, WY.